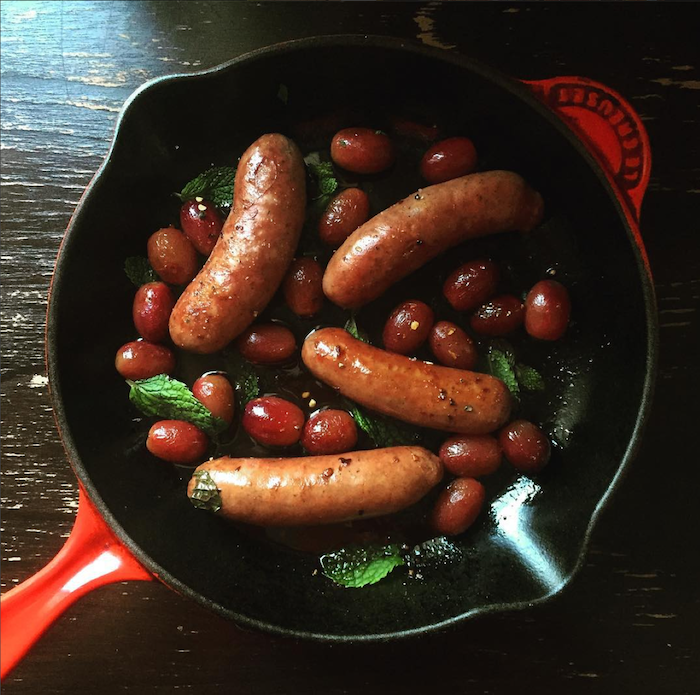 Breakfast sausages already have a ton of amazing flavor, but if you're entertaining guests for a brunch party or have family staying with you for the holidays, this is a simple way to turn simple cooked sausages into an elegant side dish. 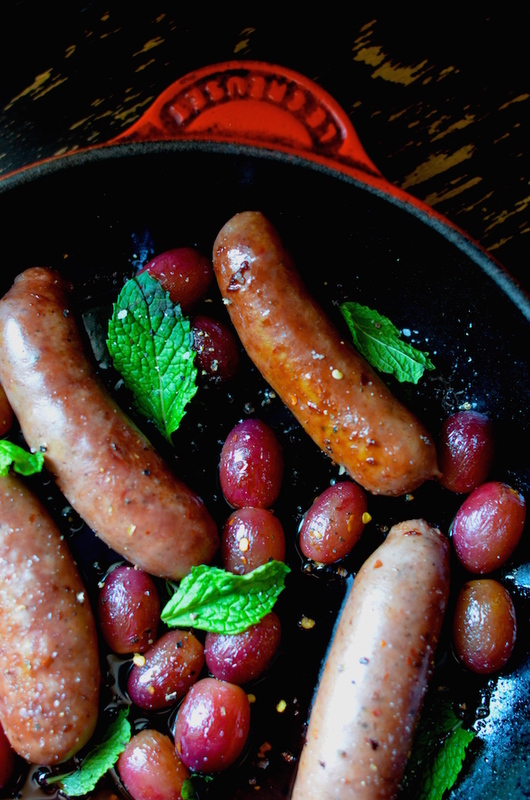 Grape Juice-Glazed Breakfast Sausages are a sweet and savory dish of classic breakfast sausage links, cooked slowly in grape juice and red wine until the liquid reduces into a sticky and delicious glaze. Fresh grapes and a garnish of mint and chile flakes finish off the cozy and comforting dish. This works equally well as a side for eggs as it does for a sweet breakfast like waffles or pancakes. Heat vegetable oil in a heavy-bottom skillet (such as cast-iron) over medium-high heat. Add breakfast sausages and brown on all sides for about 5-10 minutes. Add the grape juice, red wine, and honey and bring to a boil, then reduce heat and let simmer until liquid has reduced to a glaze, turning the sausages every so often (about 10 minutes). Stir in the grapes, and cook for about 1-2 minutes, then sprinkle with mint leaves and chile flakes, and season with kosher salt and black pepper. Serve immediately.